The Allianz Business to Arts Awards champion outstanding relationships between businesses, artists and arts organisations. The Awards seek exceptional partnerships in areas such as sponsorship, commissioning, training and events, staff programmes, CSR initiatives and community engagement. In their evaluation, the judging panel focus on the level of success and creativity in achieving both the business and arts organisations (or individual artist’s) objectives, the history behind the partnership and how the partnership has been successfully activated. The key objectives and targets established for the partnership and the strategies used to successfully activate the partnership e.g. marketing campaigns, bespoke events for clients, branded signage, PR, staff engagement, etc. The judging panel will apply these criteria irrespective of the scale or financial value of the partnership. The Allianz Business to Arts Awards are judged by a panel of highly regarded industry professionals and experts, in a rigorous process developed over our 28 years of awards experience. Each entry is scored independently by each judge, based on the development, activation, impact and innovation of each creative partnership. Judges cannot vote for their own organisation. 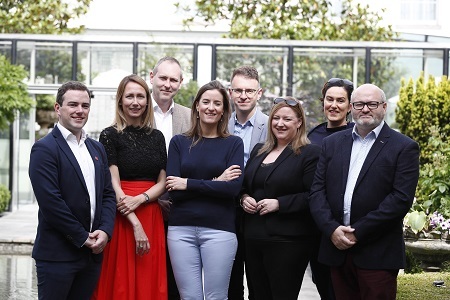 The aim of the judging panel is to select the most innovative and impactful creative partnerships in Ireland, celebrating and promoting collaborations between the corporate and cultural worlds. The Allianz Business to Arts Awards 2019 are open to all businesses and organisations (of whatever nationality) promoting, using or supporting artists or the arts (of whatever nationality) within the Republic of Ireland, and to all businesses promoting Irish arts or Irish arts organisations overseas. Heritage, craft and design organisations or projects are eligible for entry. Nominated partnerships must have taken place between March 2018 and May 2019. Businesses that have engaged with more than one arts project, artist or arts organisation may submit more than one entry. In cases where an arts organisation/event has more than one partner, each partner is eligible to be entered but a separate entry must be submitted. This rule will not apply where two or more businesses have collaborated jointly in a project or sponsorship. All Arts organisations nominated are automatically eligible for the daa €5,000 Arts Award. A separate entry application is not required for this award. The daa €5,000 Arts Award will be presented at the discretion of the judging panel. The recipient organisation will be asked to acknowledge daa’s support as relevant and provide short interim and completion reports to daa and Business to Arts to verify how the Award was used. Jim McNaughton/TileStyle €10,000 Bursary for Artists will be awarded towards the development of an artist’s craft or body of work or project by an emerging artist(s) in any art form. Nominations must be made by a partnering business, arts or other organisation. The recipient(s) of the Jim McNaughton/TileStyle €10,000 Bursary for Artists will be asked to acknowledge TileStyle’s support as appropriate, as a funder of any final output/project; and provide short interim and completion reports to TileStyle and Business to Arts to verify progress and completion of the agreed work. All entries are eligible for the Judges’ Special Recognition Award. The judging panel will be looking for businesses and organisations who feature across a number of applications, showing evidence of a portfolio approach to sponsorship. Business to Arts reserves the right to publish the names of all nominated business sponsors and associated organisations, artists or events. Business to Arts reserves the right to use any content and attachments submitted through the entry process unless specifically specified by the entrant. The decisions of the judging panel will be final and neither Business to Arts nor the sponsors will enter into discussion or communication in respect of any entry or result.